My kids beg for chocolate chip pancakes. Do yours? I've made them a handful of times and apparently the experience is stuck in their heads as the ultimate breakfast treat. I decided to use my go-to pancake recipe and added my homemade hot cocoa mix. Boom! Hot cocoa pancakes. First, make the pancake batter. Next, add the homemade hot cocoa mix. Stir to combine. Fry these babies in butter or coconut oil. Flip when little bubbles start to appear on top. Combine the flour, baking powder, baking soda and salt in a bowl. Add buttermilk and oil and mix to combine, making sure not to leave any big flour lumps. Add egg and gently fold into the batter. 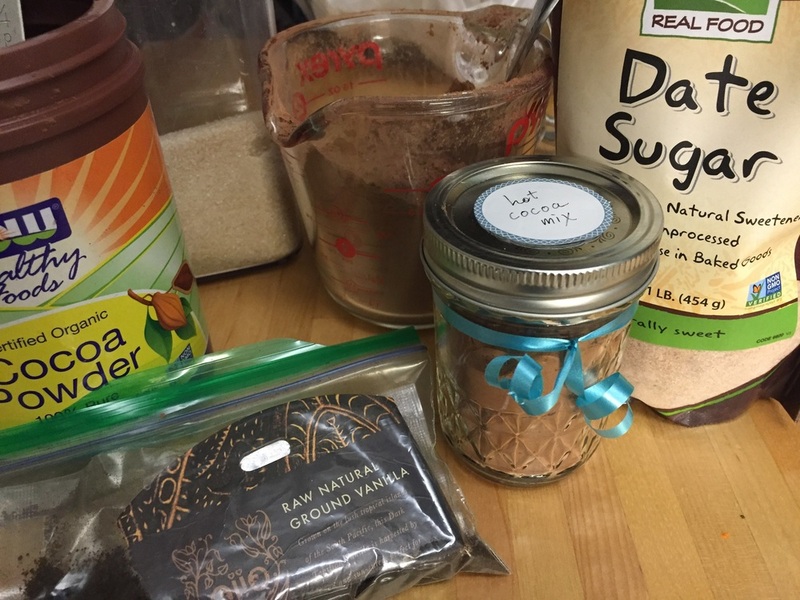 Add flax meal, cinnamon, cocoa, sugar and vanilla extract and mix until all ingredients are thoroughly combined. Pour desired pancake size into a hot, buttered pan. Flip pancakes when tiny bubbles appear on the top. This recipe makes enough pancakes for my three kids for three breakfasts. Keep in an airtight container in the fridge for up to five days.